Just a month ago, Castiel had nothing - not a home, not a family and certainly not a name. 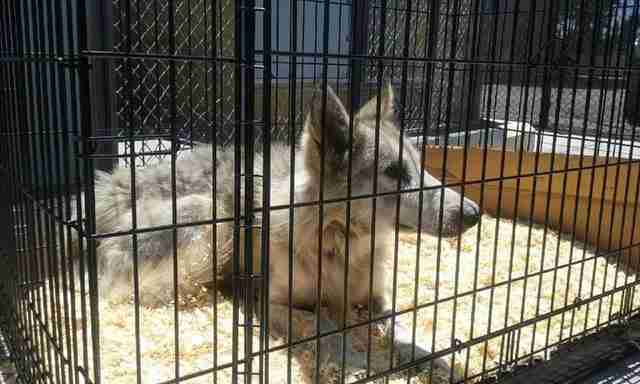 He was alone, a stray "dog" found wandering aimlessly across the suburbs of Los Angeles. 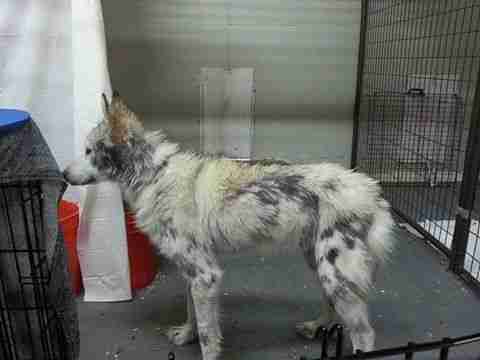 Whether he was formerly someone's pet or not was unclear - what was obvious was the fact that Castiel had been on his own for a long time, long enough to become severely emaciated and riddled with parasites, and lose chunks of his fur to mange. 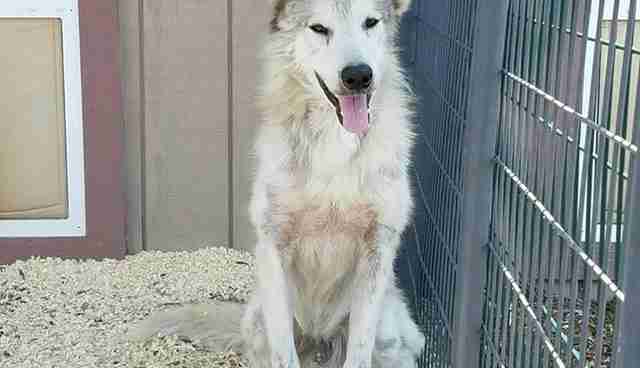 While Castiel appeared to be a normal dog from a distance, rescuers soon realized he was actually a wolf-dog hybrid. 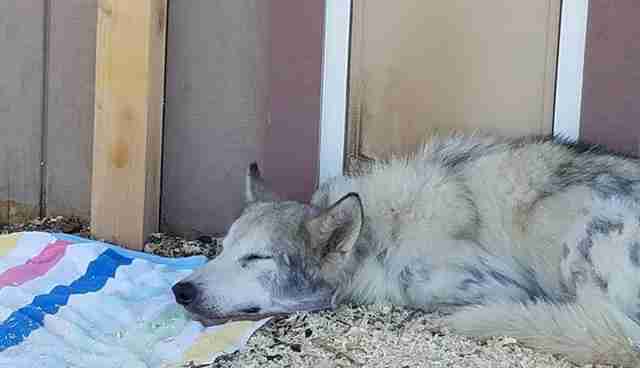 From there, a race began to find him a sanctuary that would take in a hybrid - otherwise he faced a high risk of being euthanized by a shelter unable to give him the care he needed. Thankfully, Colorado's W.O.L.F. 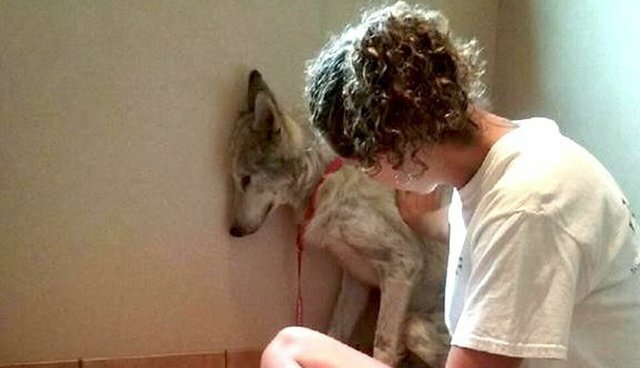 Sanctuary, which rescues wolves and wolf dogs, was able to step in and save the 1-year-old Castiel. 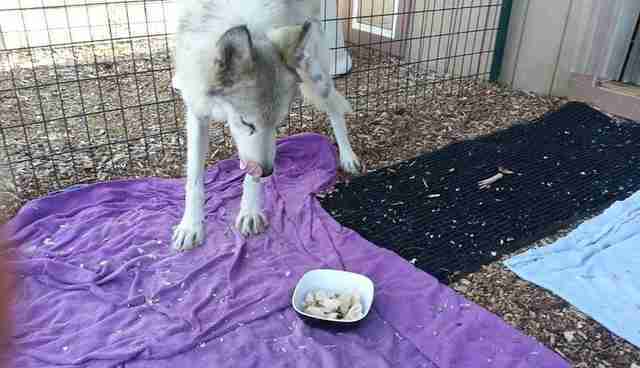 After receiving initial veterinary care, Castiel was transferred to an off-site infirmary where he could reside until he was healthy enough to make the trip to the sanctuary. The first thing staffers noticed about Castiel was the fact that he was extremely timid and scared of his new environment, preferring to stay in corners - just to keep away from humans. After a few days in the the infirmary, however, Castiel started learning how to relax, although he spent a majority of his time resting. But there was something else staffers noticed about Castiel as well. 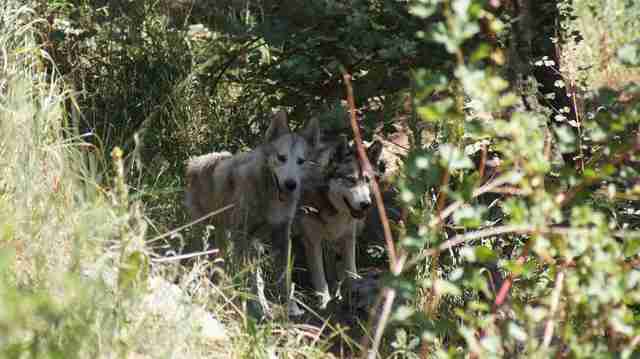 "Our director had a number of dogs," Michelle Proulx, director of animal care at W.O.L.F. Sanctuary, told The Dodo. 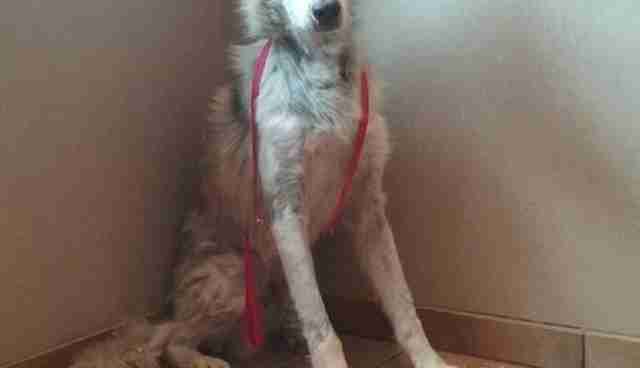 "The infirmary was located at her house and we noticed him getting really, really interested in other dogs. 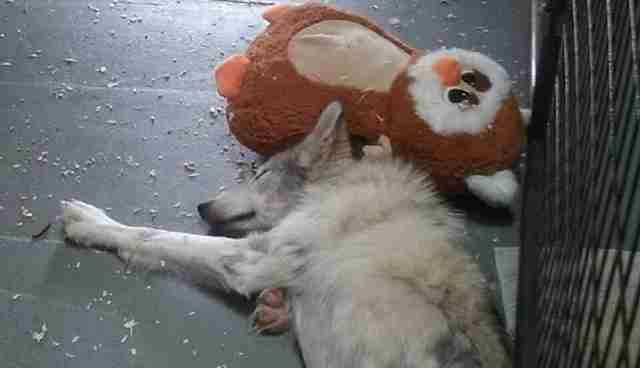 So we knew he was starting to get lonely for canine companionship and wanted to find a companion for him." Once Castiel started to become more active and curious about his surroundings, the sanctuary deemed him well enough to make the big move to his forever home - and began the hunt to find him the perfect partner. Proulx said W.O.L.F. 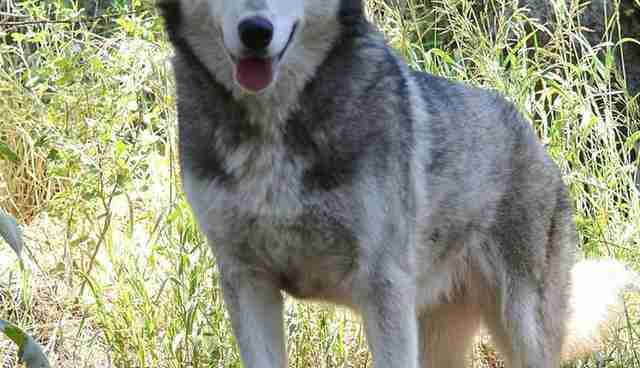 reached out to a network of sanctuaries that deal with wolves and wolf dogs to see if a young female wolf dog was in need of a home. "We got a hit almost immediately," Proulx said. "This is an indicative of the problem that's out there, that there's so many of them in need of homes." 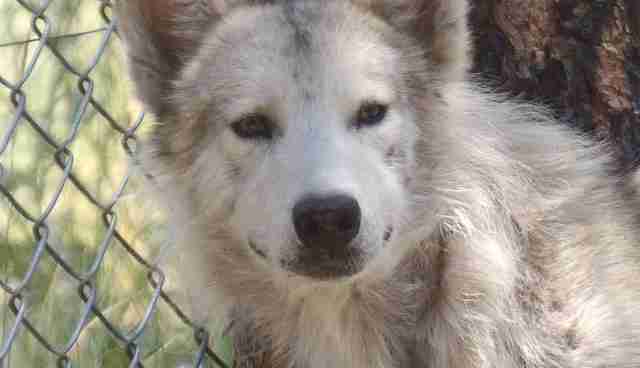 That was how staffers made the trip to the Gray Wolf Wolfdog Rescue in Wisconsin to pick up 3-year-old Tenali. 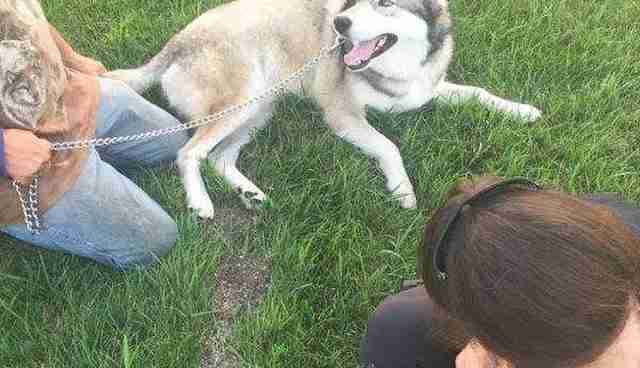 "They said she was really sweet and that there isn't an animal she doesn't get along with," Proulx said. "We thought that would be great for Cas, who needs that friendship. We didn't want to have him, while he's not feeling well, feel like he has to defend or protect himself from an animal that isn't quite a good match," she continued. 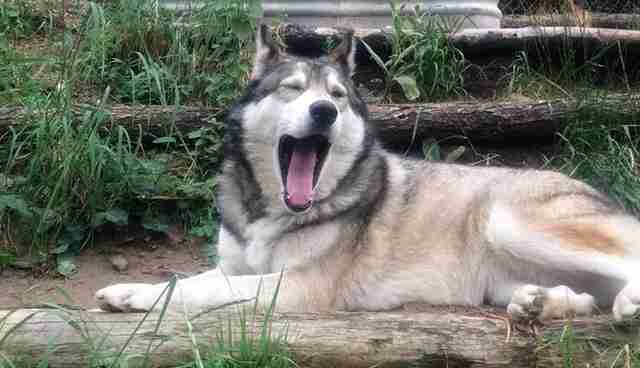 Compared to Castiel, Tenali is a bundle of energy. "When we first put them in together, she just wanted to play and Castiel was just a little bit overwhelmed with the attention," Proulx said. "He went from not having much and being alone for who knows how long to having this girl." As a result, Castiel was standoffish at first - but Tenali was great at reading the situation and his communication. 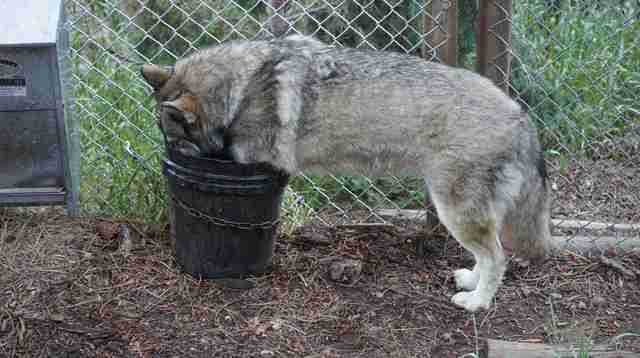 When Castiel shied away, she didn't push, but found something else to do instead. "After a couple of days, he started to realize that she wasn't going to hurt him," Proulx said. "He started to feel more confident in himself and we've been seeing progressively, within the last week or two, that their playing together has become more frequent and more involved." 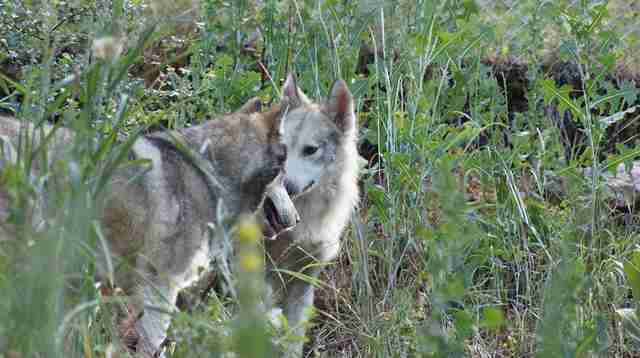 Castiel, who was once so painfully shy, has finally found the perfect wolf dog to open up to. Now the two continue to strengthen their bond day by day. Want to help W.O.L.F. 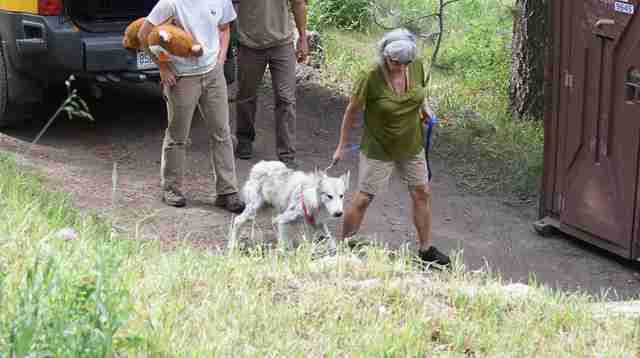 Sanctuary continue doing good work for animals in need? Consider making a donation here.